Thank you for being such an important part of the Forest River Team. We strive to be the leader in our industry by manufacturing superior and safe recreational vehicles, boats, cargo trailers and buses that improve the lifestyle of our users. In doing so, we create lasting memories by providing great products backed by a commitment to customer satisfaction. We are equally committed to the enrichment of your life as valued Team Members of Forest River, Inc.
Our "Employee Only" site allows you easy access to view our Code of Ethics & Conduct, Employment Policies and value added benefits provided by the company. This site will also serves as a communication tool, allowing us to post various company events, processes, successes and benefits of being a Forest River employee. 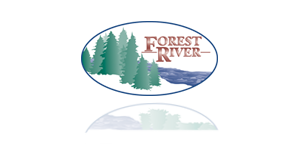 Coming soon, this site will allow you access to Forest River employee discounts made available from a number of various companies.